Want it by Thursday 25th April? Order within 10 hours, 49 minutes and choose Royal Mail Tracked 24 Hour at checkout. 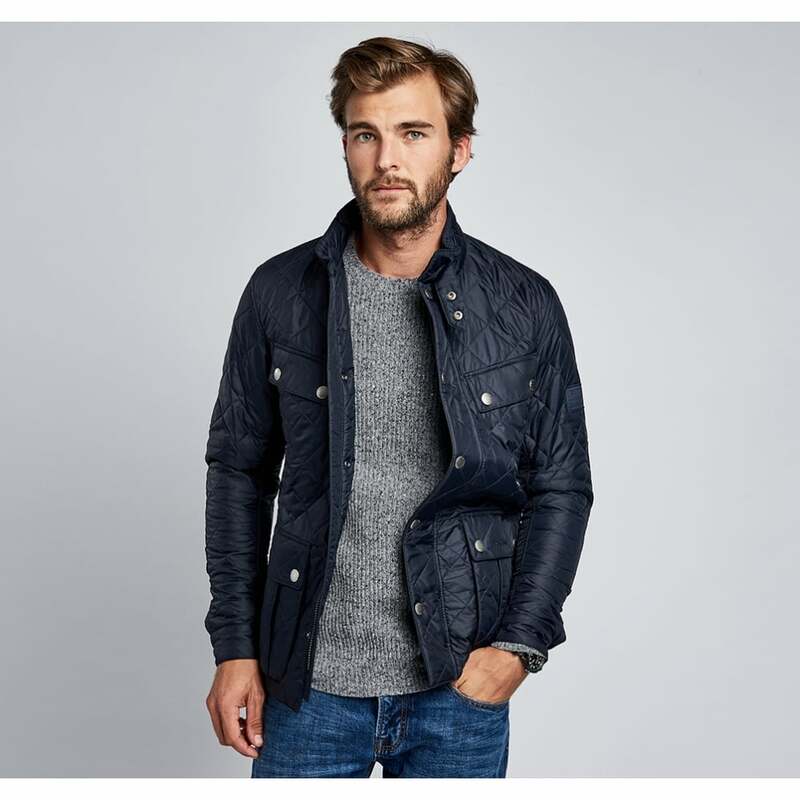 Designed with Barbour International style but with a quilted finish the Ariel Jacket is perfect to throw on during cool spring days. A short stand collar and diamond quilting adds International style, whilst bellow chest pockets give a more traditional Barbour feel. This regular-fit jacket also features two front pockets and a two way branded front zip fastening.